Need help planning a trip next year to the Finger Lakes. We are from NC and need best routing and MUST see things and great campgrounds. Really any info anyone can give will be greatly appreciated. We will be traveling in a 40 ft class A. When we were living in NY, we enjoyed Sampson State Park and Watkins Glen State Park. The KOA in Watkins Glen is also popular but I would avoid it when races are taking place. Be sure to visit Corning and the Corning Glass Works. Take the Seneca Lake boat tour out of Watkins Glen, and hike as much of the Glen as you can. The Finger Lakes are beautiful and close enough to each other that you can take a lot of scenic drives. 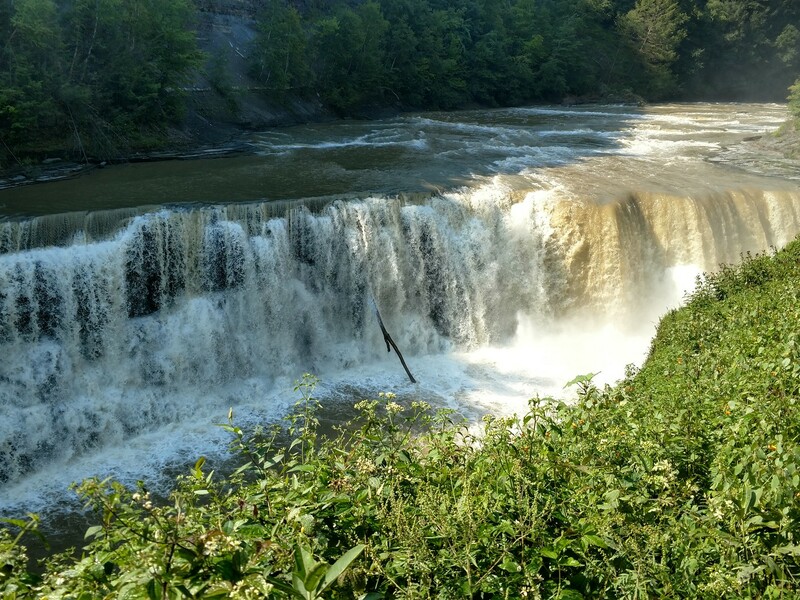 If you have the time, head a little further north and stay at Letchworth State Park which is on the Genesee River gorge. Excellent campground and just so scenic including waterfalls. They also do hot air balloon rides from Letchworth. My wife and I took a ride and it was amazing. And, wineries have made a comeback around the Finger Lakes and if you enjoy wine, you'll enjoy stopping at some of the wineries. Ithaca (home of Cornell and Ithaca colleges) is a great little town. Stop and walk around the downtown area. Klute Park CG in downtown Watkins Glen is a good location to explore from, no problems with a 40' Class A, It's an urban park so not real scenic, but the lake is across the road. Short walk to stores. Lots of wineries in the area to visit. A couple interesting side trips would be the Glenn Curtiss museum in Hammondsport and the Corning Glass Works Museum in Corning. 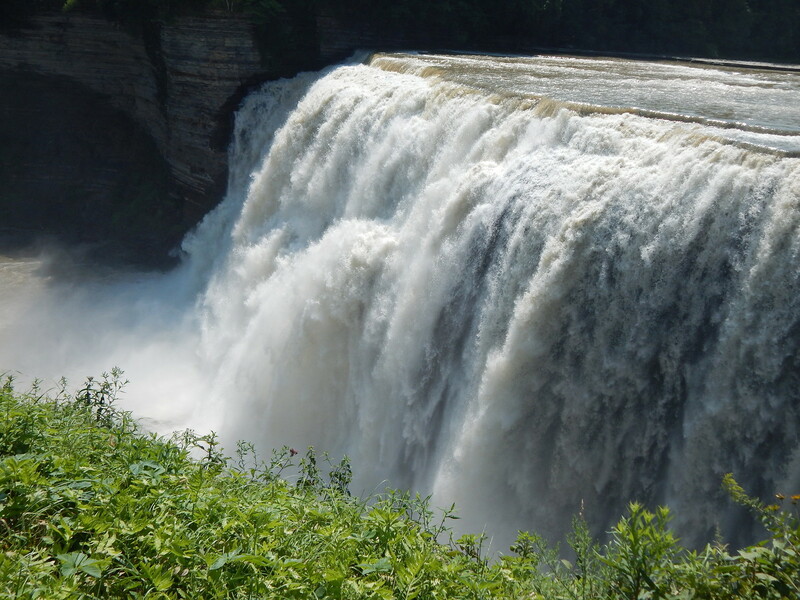 As previously mentioned Letchworth SP is nice and the campsites are huge. 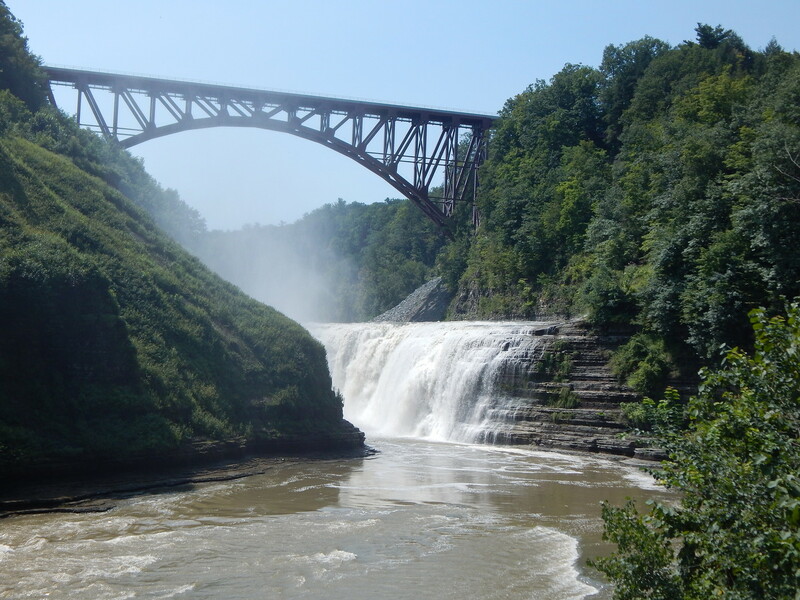 Hike the Watkins Glen trail and also visit Taughannock Falls State Park. Buttermilk Falls SP is also a good place to visit. This is my home, and I'd love to give you a lot of great tips. But I would like to know more about the sort of things you are interested in. Hiking? Boating? Scenic drives? Bicycling? Boondocking? Wineries? Fishing? History? The Arts?Do you want to see it all (not really possible in a short trip) or find the nicest place to put down roots while you're here? When, exactly, will you be here? I've been giving some thought to writing a travel guide to the area, so I probably have some things to share with you. But I'd like to direct my ideas to what it is that you're looking for. It's just Mrs. SpeakEasy and me now (empty-nesters). But we can choose from among 7 grandchildren to drag along with us! While we've enjoyed Watkins Glen SP in past ventures, this year we ended up at Keuka Lake SP and we really enjoyed it. Close to two wine trails, great golfing, and scenic drives as well. Only downside was out of the 150 sites, only about 60 had electric, so book early if you choose that one. We haven't really decided on a time yet, we are still in the planning stages, when would you suggest be the best time to visit? We are not so much interested in hiking,or biking. but more like touring wineries, scenic drives. If you hike Watkins Glen, make sure you start at the top and hike to the bottom. It's a 400-foot change in elevation 6-inches at a time if you hike from the bottom to the top. It is a beautiful area with lots of wineries ! It has been a long time since I have been there, but many of the state parks had a limited number of full hookup or even just electric sites. Many more with no hookups. Check your destinations. Pick up a guild in town for the wine, beer and cheese trail around Seneca lake. Many of the establishments also have good eats and scenic venues that overlook the lake, well worth spending the day. just don't drink to much!